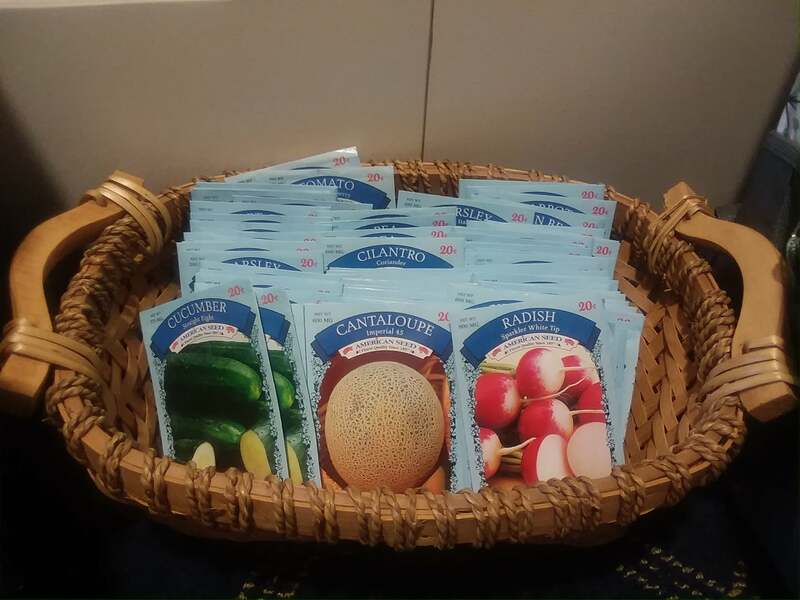 We might be one of the oldest chapters in the nation, but the Philadelphia Chapter, NSDAR continues to be one of the most vivacious and active! 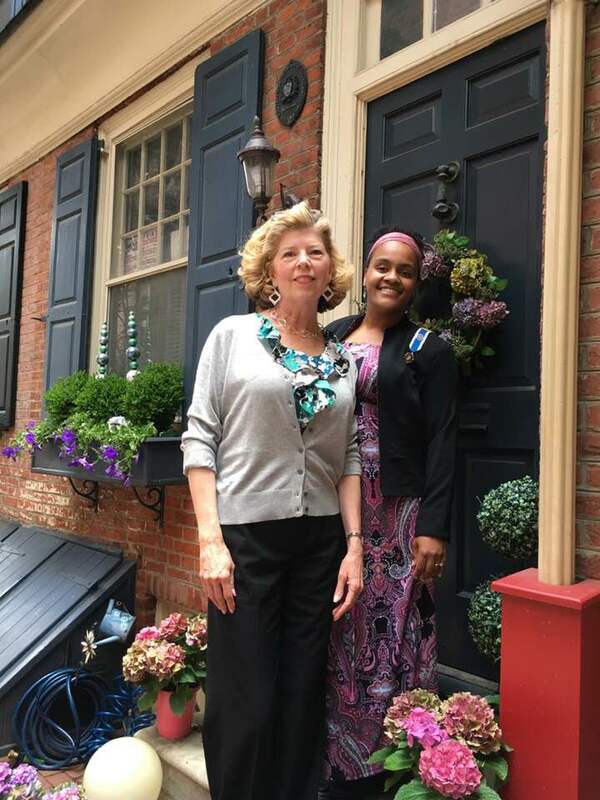 Our meeting included a tour of a historical home in Old City! 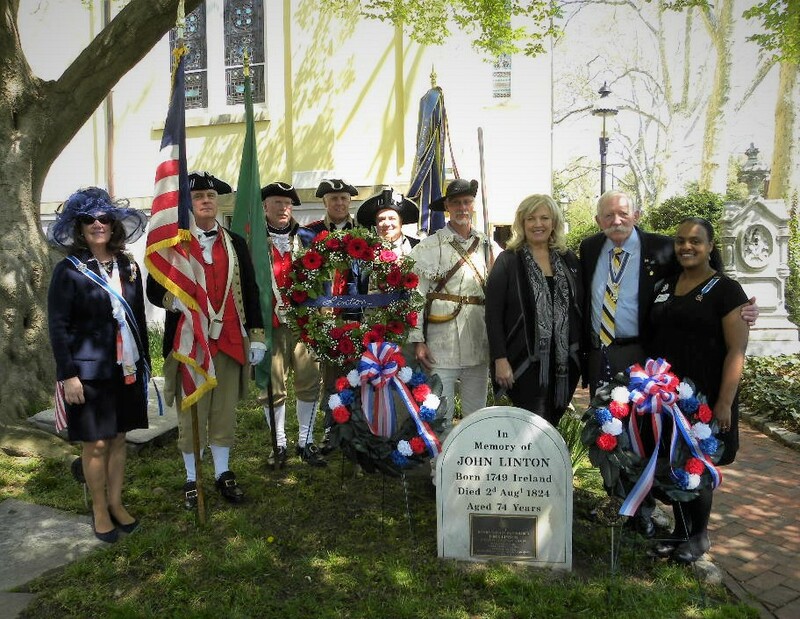 On May 28th, a Memorial Day Commemoration & Wreath Laying took place at Washington Square Park at the Tomb of the Unknown Soldier. Thousands of unknown soldiers are buried there. 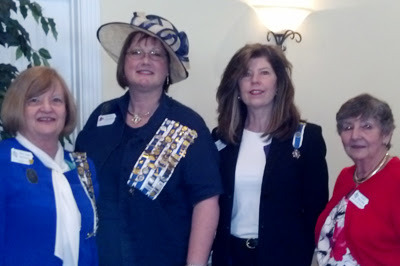 Our chapter participated in the ceremony, along with Francis Hopkinson Society, C.A.R. members. 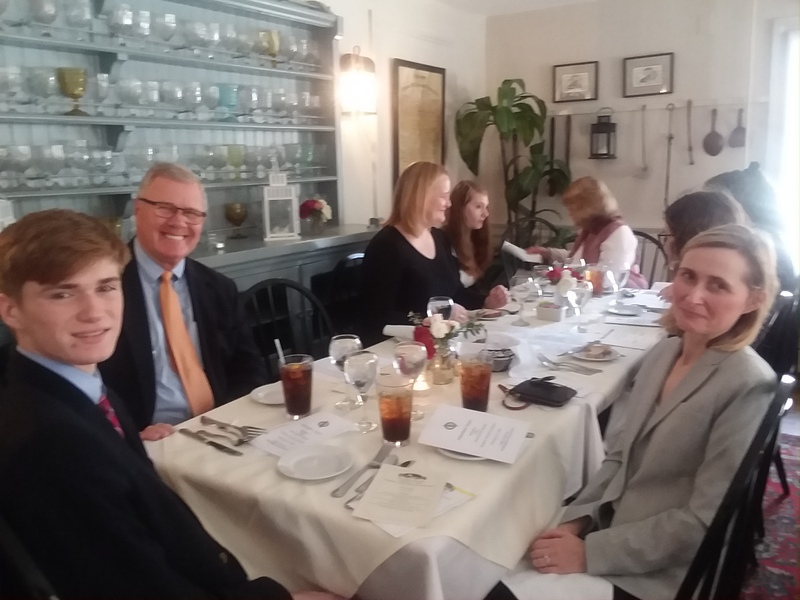 Our second consecutive Book Club Meeting was held at our Spring Tea Party at the beautiful Talking Teacup in Chalfont, again, hosted by our Chapter Treasurer. 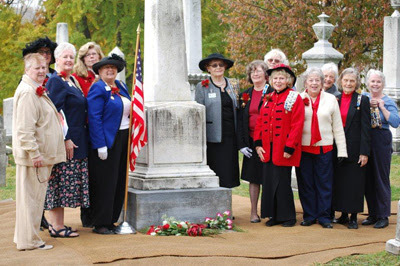 We discussed the National Society of the Daughters of the American Revolution (NSDAR) book “The Wide Blue Sash” and enjoyed the company of visiting Chapter / Organizing Regent of the Margaret Gale Thornton Chapter. 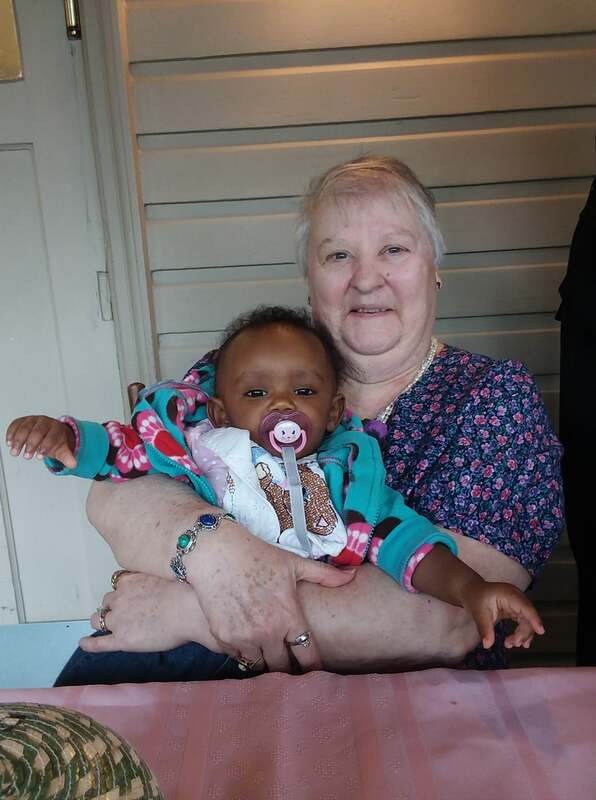 On April 28, 2018, we celebrated the Chapter’s ‘125th + 1’ Anniversary at Old Pine Street Church. 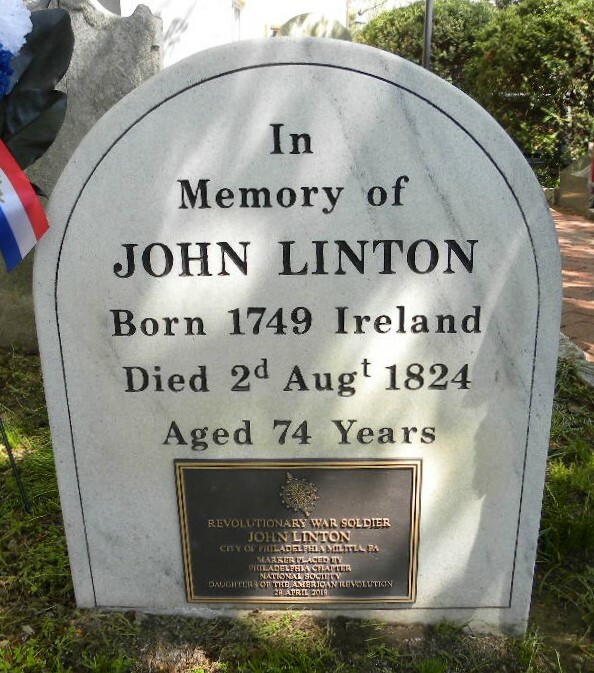 We marked the grave of John Linton, patriot ancestor of our chapter member Rachael. Rachael’s grandmother was a member of our chapter, too. 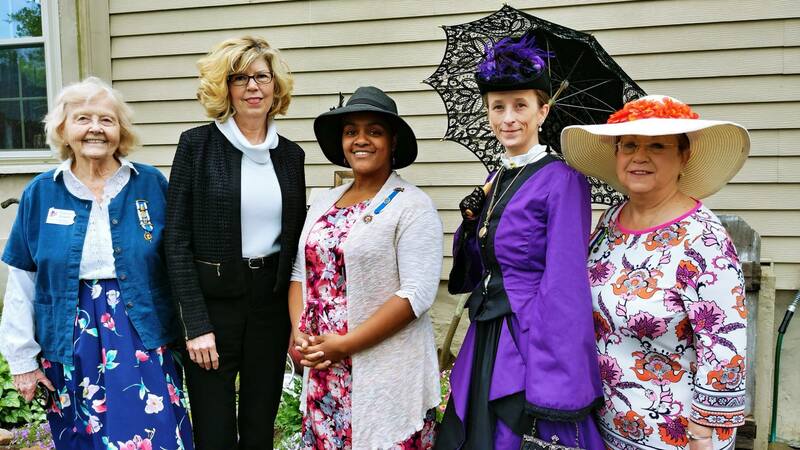 Our event was attended by the State Regent, three District Directors, and a State Chair, and was blessed by God who gave us the sunshine and kept the rain at bay. 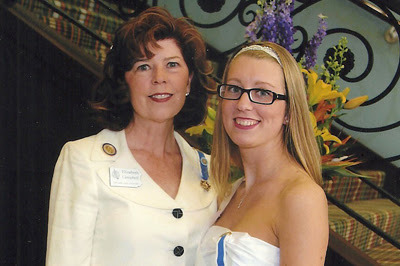 Our Chapter Regent was one of six women to be selected as an Outstanding District Regent in Pennsylvania for 2017-2018. Our American Indians Committee State Chairman came to speak with our chapter about her project, which involves the replacement bedding for Chemawa students. 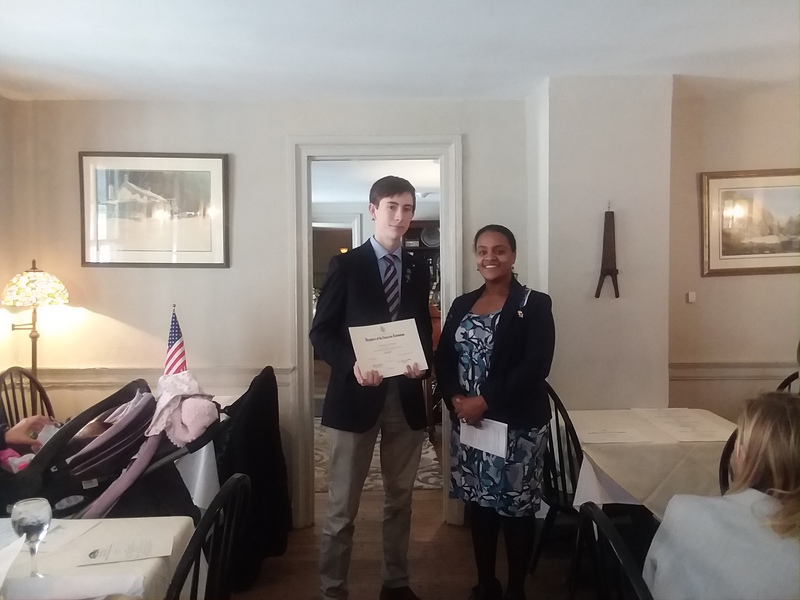 We also held our annual Student Education Awards Luncheon in Philadelphia. The Annual Holiday Luncheon and Yankee Swap is always a blast! 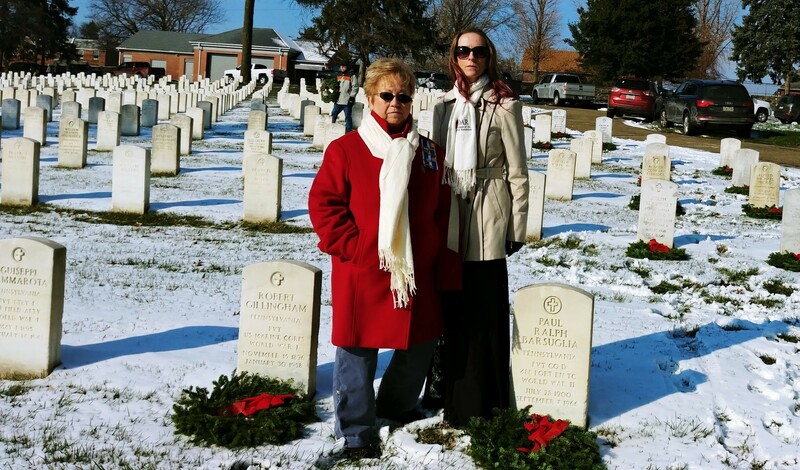 Our chapter participates in Wreaths Across America. 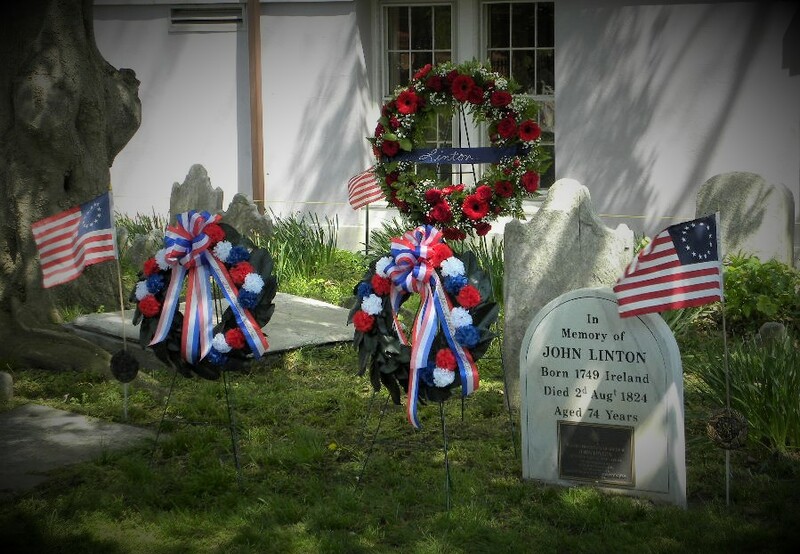 This year, we placed wreaths at a military cemetery in the West Oak Lane section of Philadelphia, Pennsylvania. 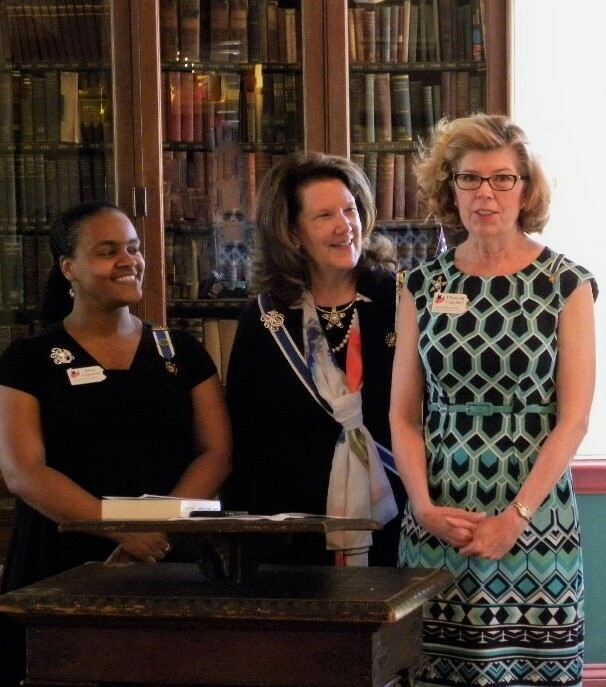 Philadelphia Chapter, NSDAR, hosted the annual Joint Chapter Luncheon with five other local DAR Chapters, at Ryerss Museum and Library. All chapters provided support to Ryerss’ Cupola Stained Glass / Window Conservation Project. 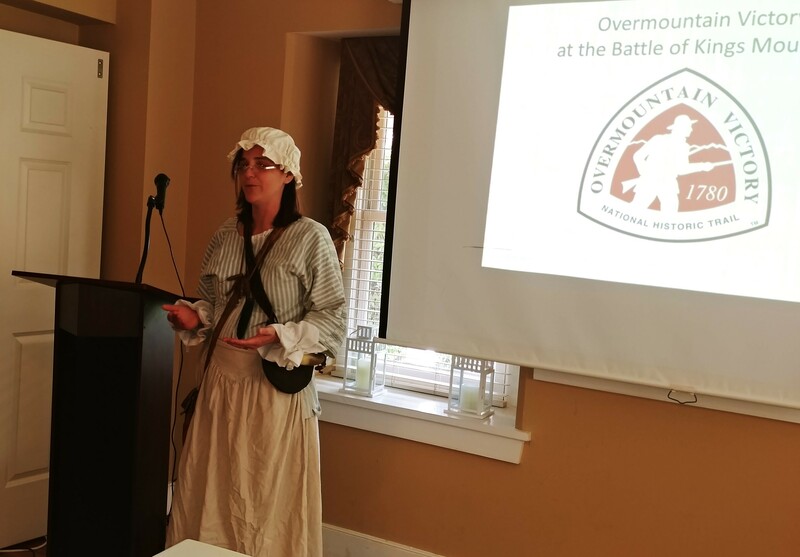 At our Annual Education Event, we were entertained by a Daughters of the American Revolution (DAR) member from Virginia who shared the story of the Overmountain Men and the Battle at Kings Mountain. The PSSDAR State Chair for National Defense Committee visited and gave an interesting presentation on her work with the Liberty USO. 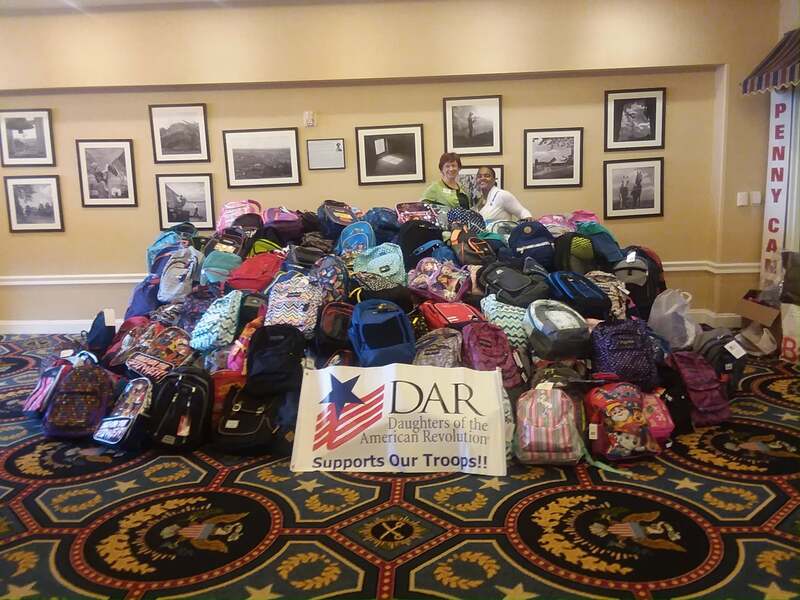 Below is a picture of her collection over 400 bookbags filled with school supplies for the children of our troops and veterans. 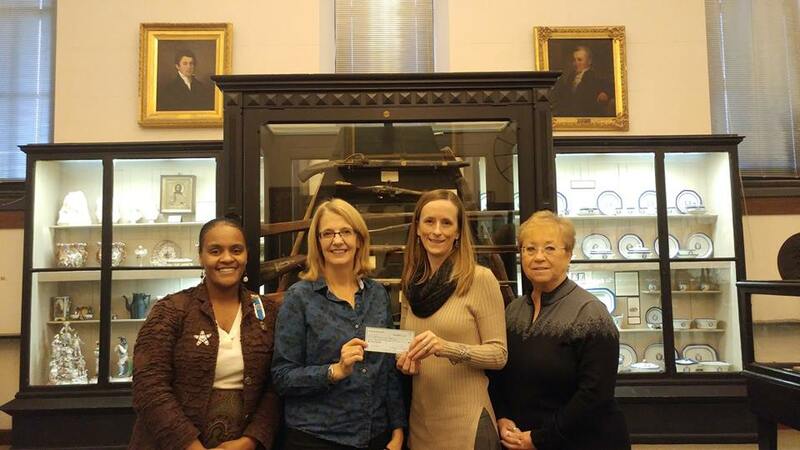 Philadelphia Chapter is a proud, consistent supporter of this effort! 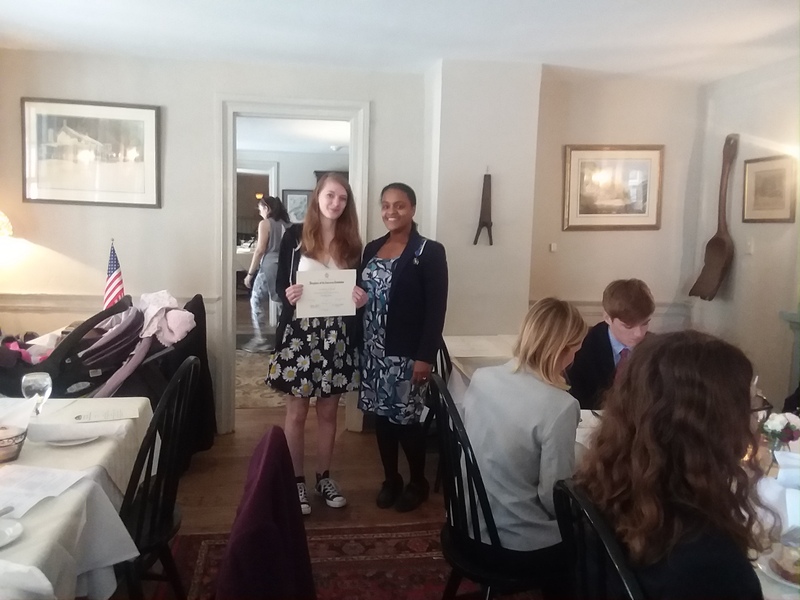 Our Annual Student Awards Luncheon was held on May 17, 2017. We also visited the brand new Museum of the American Revolution on May 13th. 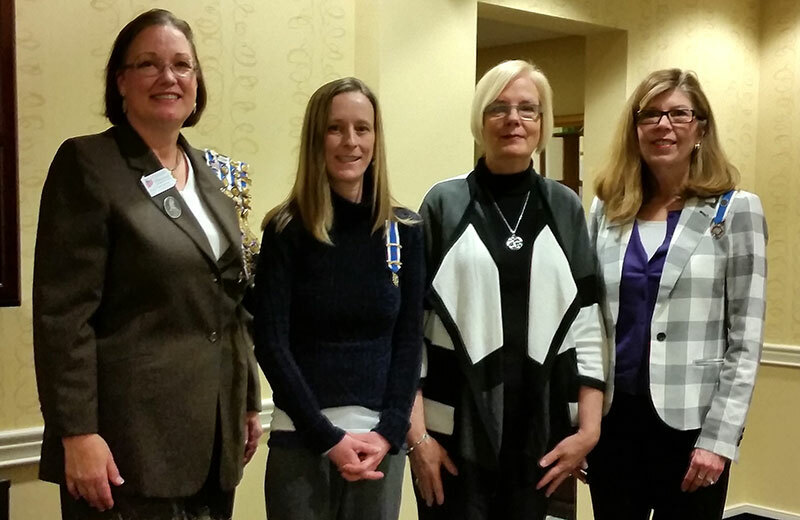 On February 11, 2017, our chapter held a Book Club meeting, revisited by author Dr. Janney, who is a published author. We enjoyed discussing her book, Easton at the Forks. 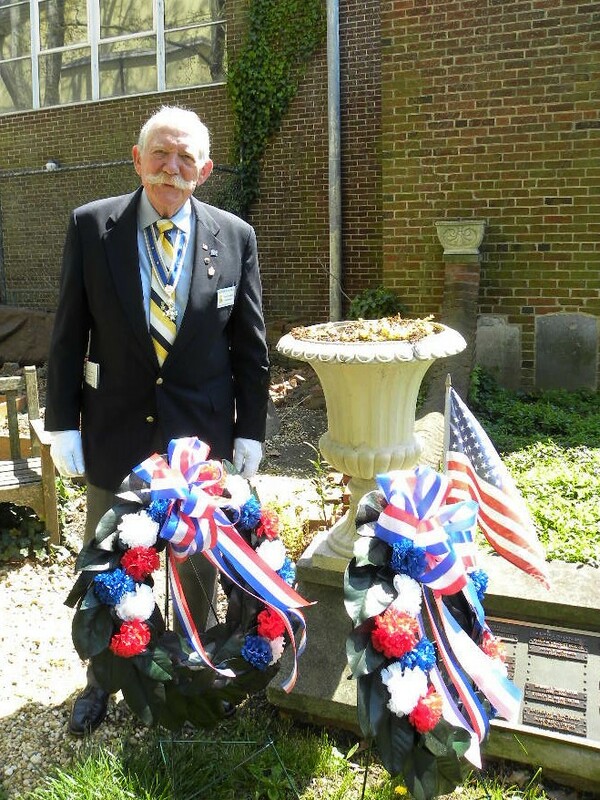 November 19 – the Annual Joint Luncheon was held at All Saints Episcopal Torresdale Church and Graveyard where we learned that soldiers from all American wars (except for one) are buried here. 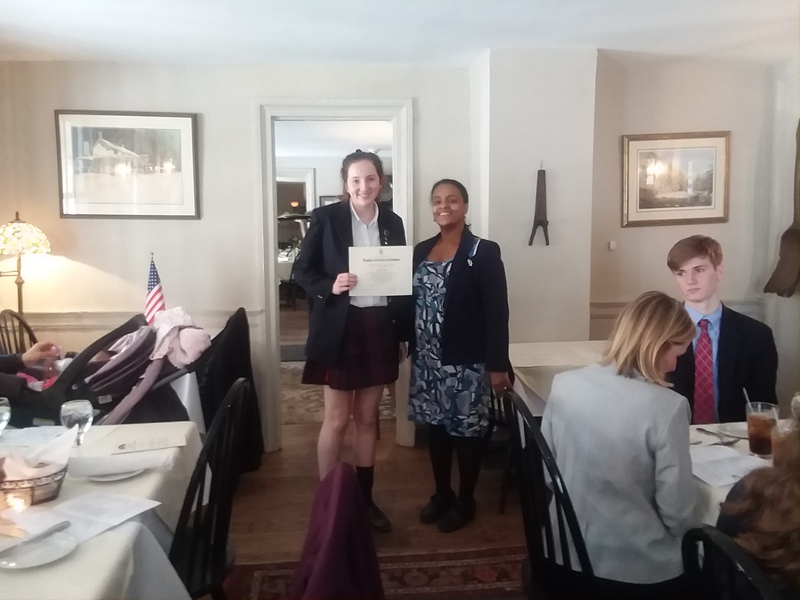 Our chapter made visits to the Betsy Ross House and to Pennsbury Manor. 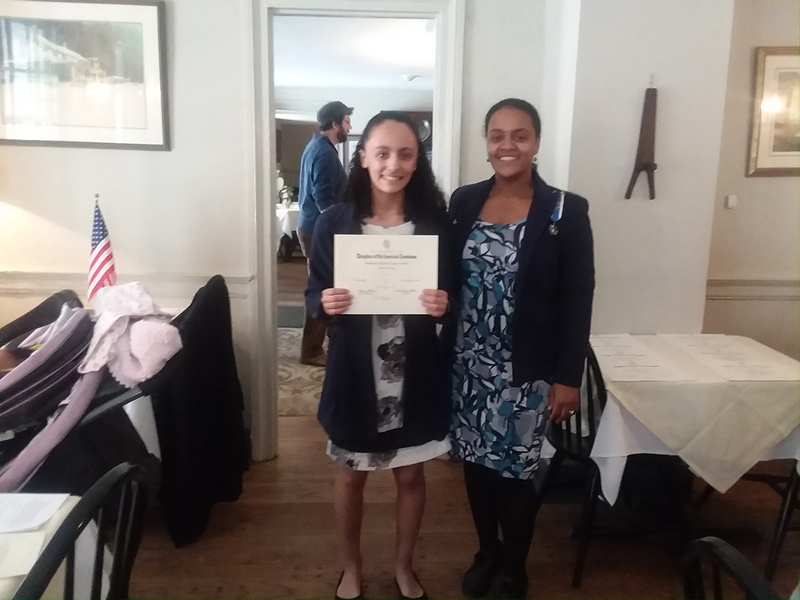 At our October Chapter Meeting, an author, educator, and fellow daughter of the Bucks County Chapter spoke with our Chapter about African-American Patriots in the Revolutionary War. 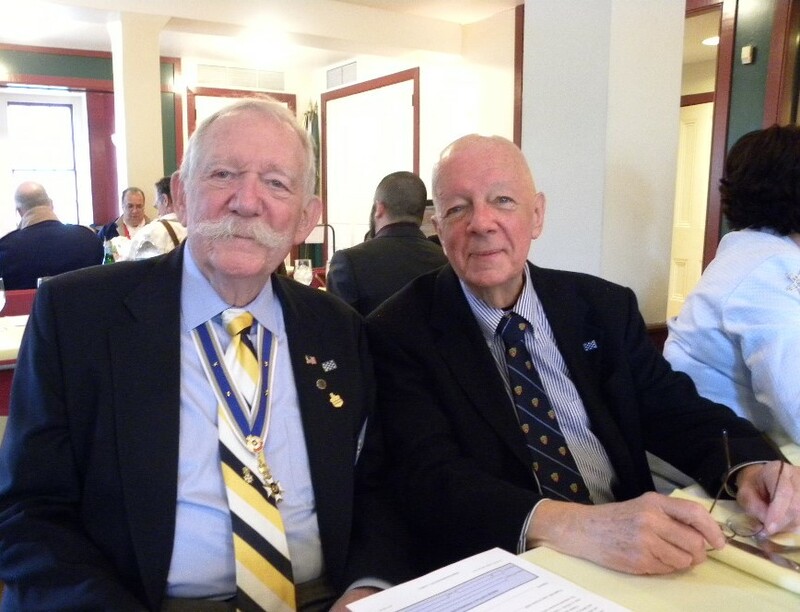 We also gave a warm welcome to the Philadelphia Chapter’s new members. 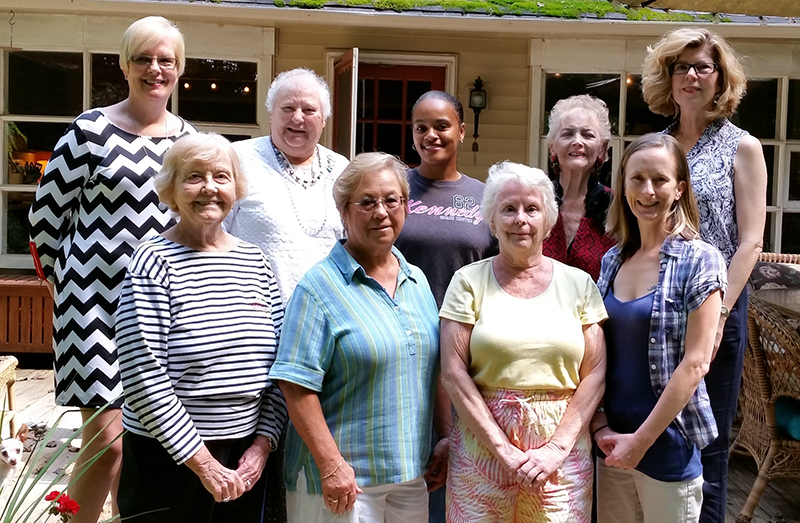 The 2016-2017 Philadelphia Chapter Officers met with our Past Regent in July to prepare for the upcoming year of DAR service and fellowship. A wonderful time was had by all. Special thanks to our new Pennsylvania State Chair of National Committee DAR Service for Veterans, and fine hostess of our meeting. We are proud of you, Liz! 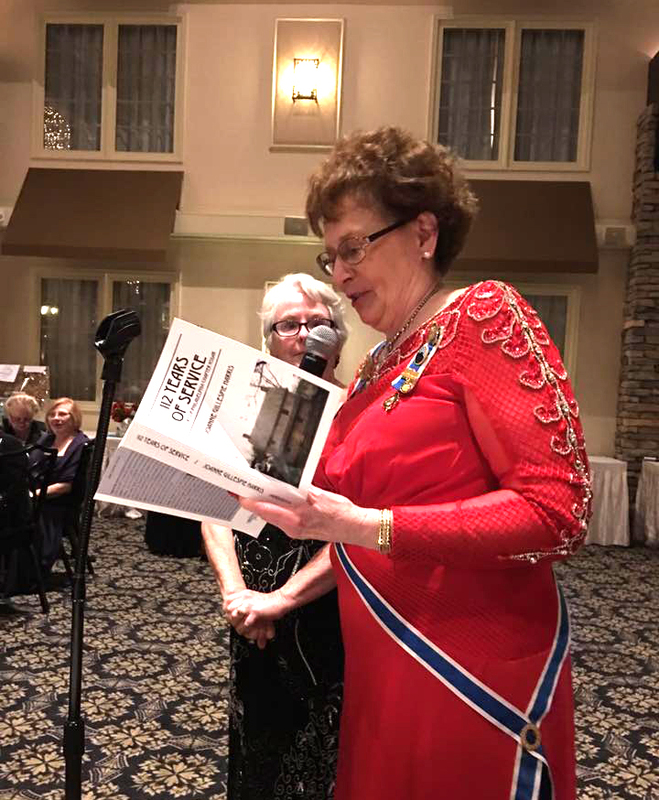 Our chapter Corresponding Secretary, presented a copy of her book, 112 Years of Service, to the Pennsylvania State Regent. The book covers 112 years of history of DAR and the Philadelphia Chapter. 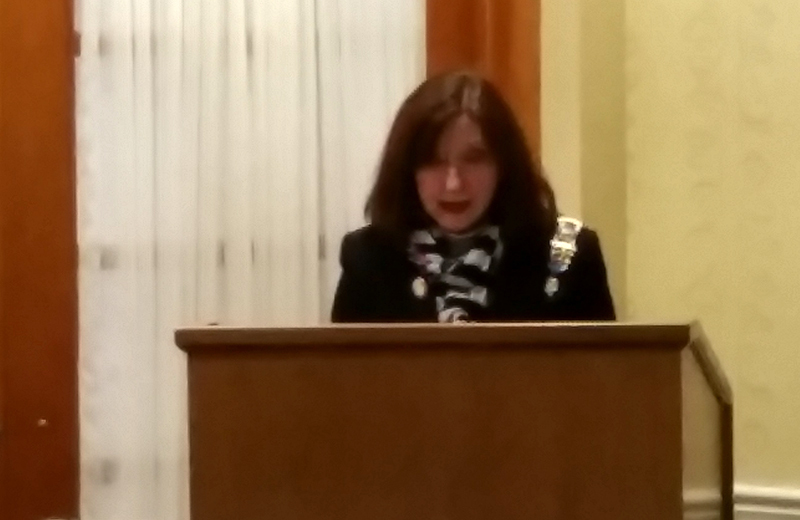 She dedicated this book in memory of the State Regent’s sister. 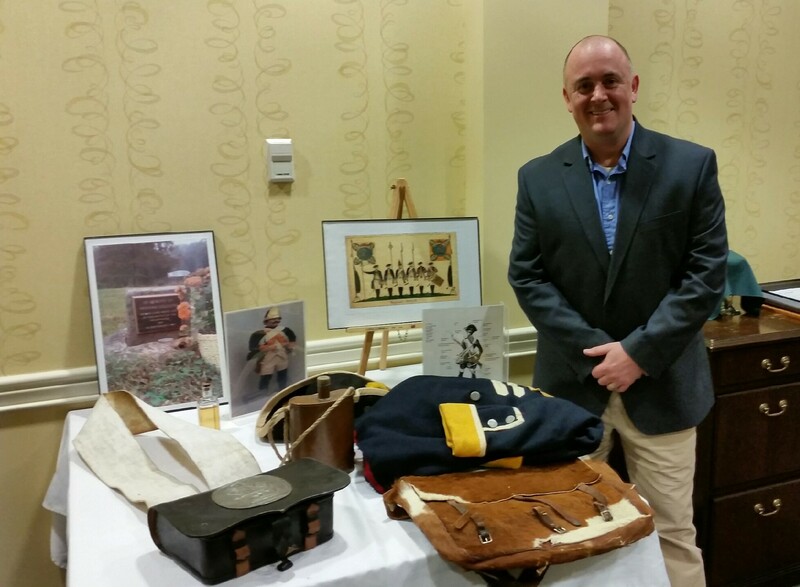 Mike Jesberger gave a fascinating presentation entitled “The British and Hessian Prisoners in Lancaster, PA During the Revolutionary War”. Members of the Philadelphia Chapter and guests from the Gwynedd Chapter listen to Dr. Janney’s engaging presentation. 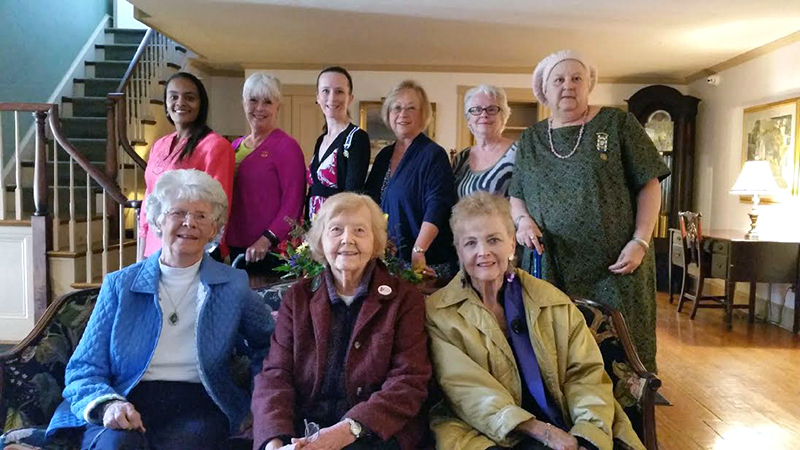 On Saturday, December 12th, 2015, the Philadelphia Chapter met for their annual Holiday Luncheon. Our Chapter Regent tours Monticello, the home of Founding Father Thomas Jefferson. 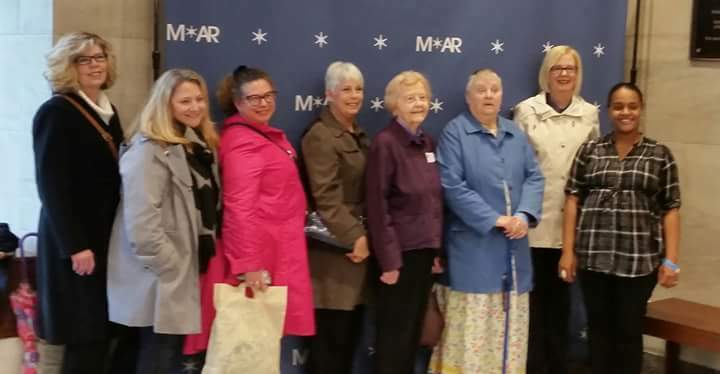 Philadelphia DAR chapter members attended a joint meeting hosted by the Lansdowne Chapter, and included members from the Gwynedd, Independence Hall, Flag House, and Robert Morris – Quaker City Chapters. 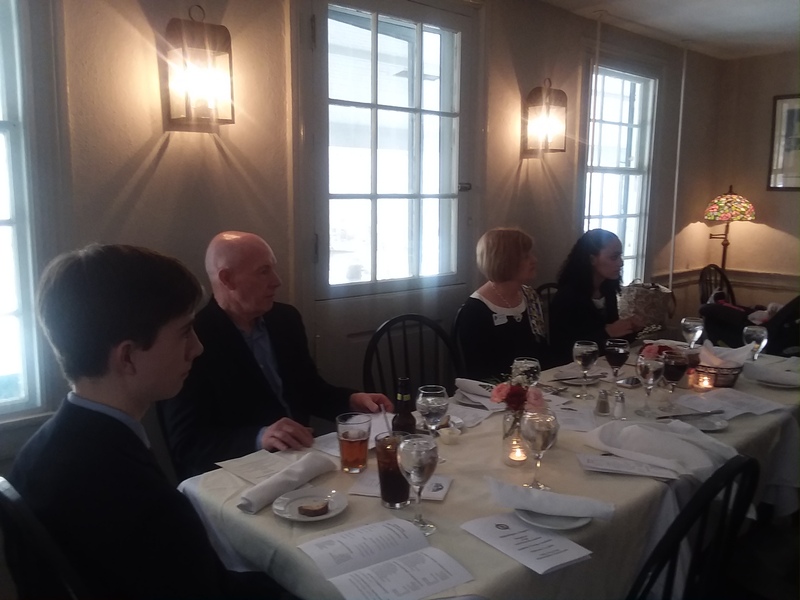 The meeting took place at the Paper Mill House in Newtown Square, PA, where meeting attendees were treated to a presentation regarding the history of Newtown and important events that occurred there during the Revolutionary War. 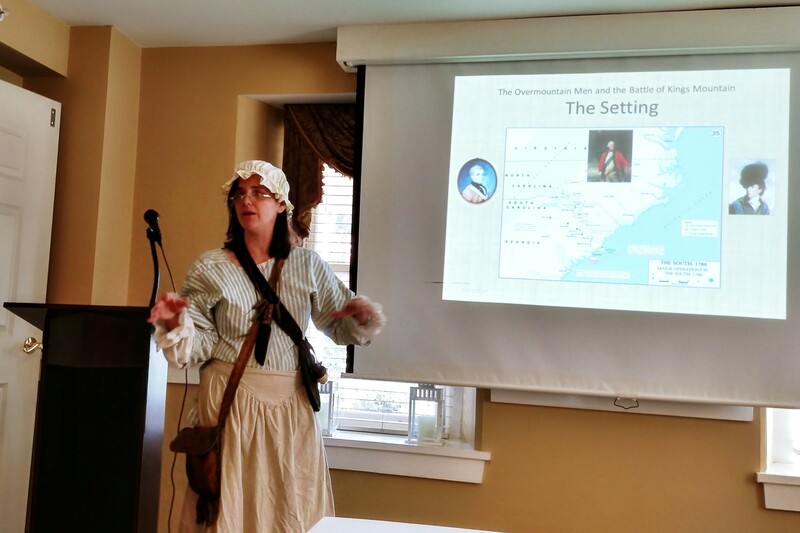 The presenter was a member of the Newtown Square Historical Society and the descendant of a cousin of Benjamin Rush, one of the Founding Fathers of the United States. 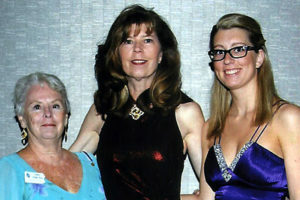 Philadelphia Chapter Regent, Chapter Corresponding Secretary and Chapter Manager attending a conference. 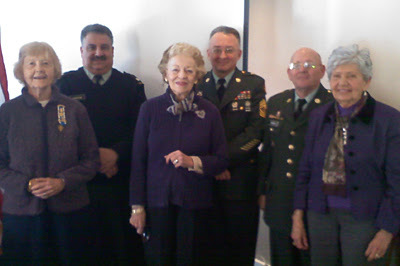 April Chapter Meeting: “Female Army Uniforms 1973-2004” were presented at the April meeting. 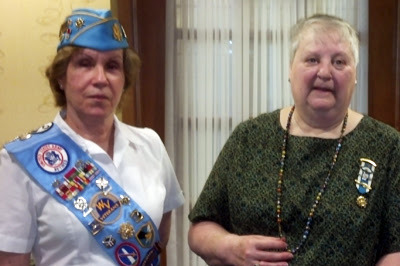 Ms. Bishop, who is retired from the United States Army, is a member of the Bux-Mont Women Veterans Association. 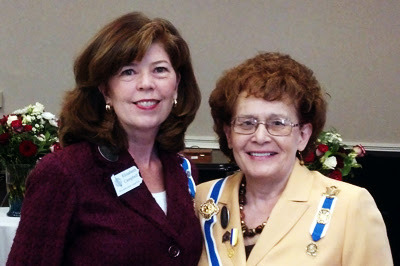 Valley Forge Spring Luncheon: Chapter Regent attended Valley Forge Chapter’s Spring Luncheon. Entertainment was provided by The Dogs of Faulkner Swamp. 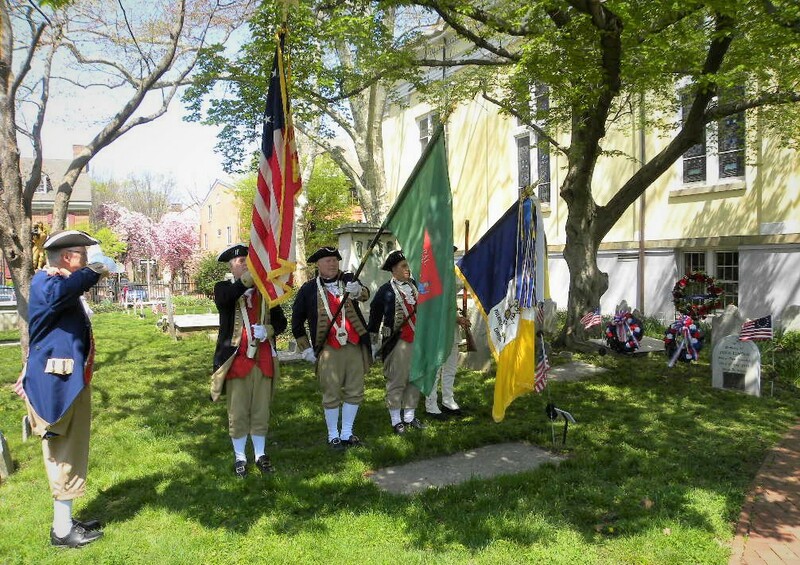 At Washington Memorial Chapel in Valley Forge, a prayer service was held. 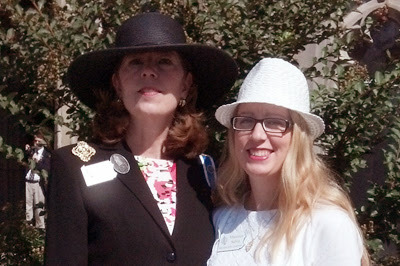 At a joint luncheon celebrating Constitution Week in Valley Forge, Pennsylvania. 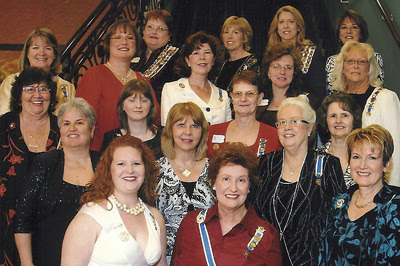 Pictured above are the Southeastern District regents of PSSDAR. 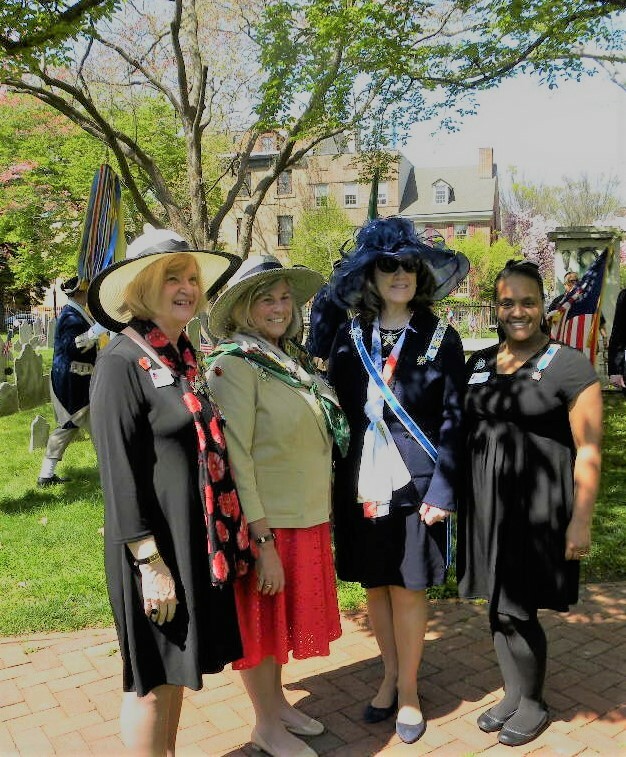 At Laurel Hill Cemetery in Philadelphia, Pennsylvania, our chapter met for the dedication of a plaque at the grave of former chapter member and Real Daughter Catherine Flournoy. 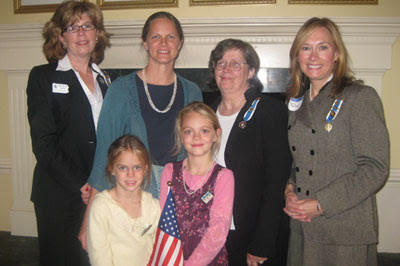 Real Daughters are those whose fathers personally participated in the Revolutionary War. National Defense Month: In observance of National Defense Month, speakers at our February 9 meeting brought an inspirational message on Building Better Citizens through the work of the United States Army’s Junior Officer Training Corps (JROTC). The program includes both male and female high school students in the school district of Philadelphia. 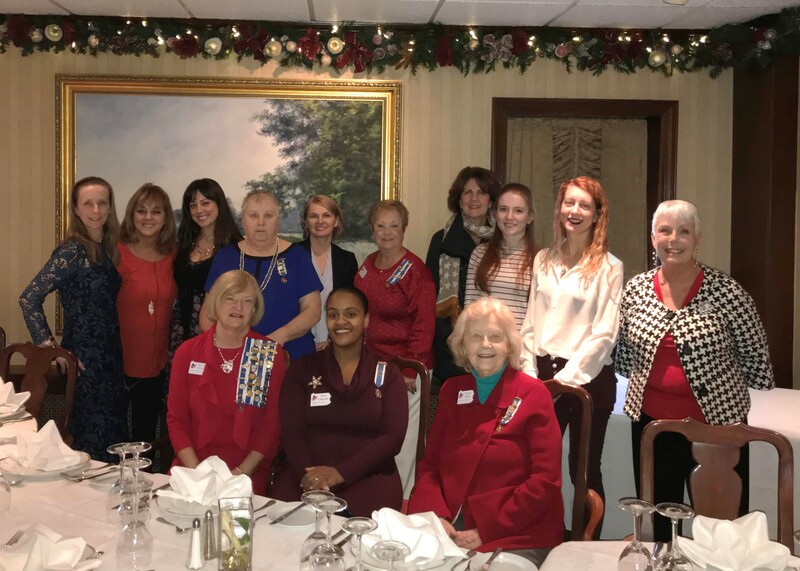 Philadelphia Chapter held its holiday luncheon and meeting. Members enjoyed an exceptionally beautiful Christmas concert by the Madrigals and Madriguys, a singing group consisting of students of the Shipley School. Their conductor, Robert Rowland, selected Christmas music spanning four centuries, including popular carols sung during the era of the American Revolution. 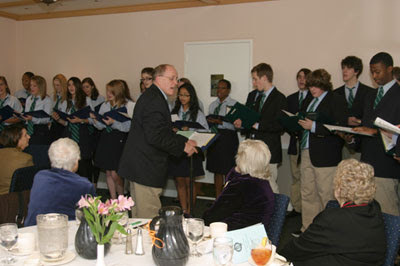 Luncheon and bazaar at Whitemarsh Valley Country Club, featuring music from American wars performed by the Fiddlesticks.